LinkedIn may not have the reach of Facebook or Twitter, but if you are in the B2B sector, it is an invaluable marketing tool. It is easy to ignore LinkedIn when compared to the enormous reach of Facebook or Twitter. It can also feel a little more stuffy and not quite as hip. But, when you consider it has over 130 million business professionals listed, it is obviously a powerful tool for marketing your products or services to other businesses. However, if you are going to get the most from LinkedIn you will need to do more than just list yourself. You will have to actively engage with it. That begins with your profile. It’s tempting to fill in your LinkedIn profile and then walk away. This would be a mistake. For a start, you should be sharing status updates in much the same way you do with Facebook. However, don’t share the same kind of personal updates as you would Facebook. These updates need to be about projects you are working on, business related links and customer testimonials. Use your status updates to demonstrate your expertise. My LinkedIn Profile is more than a static page. I update it regularly with status updates. You also want to encourage people to endorse you. This means that they vouch for your expertise in a particular area. 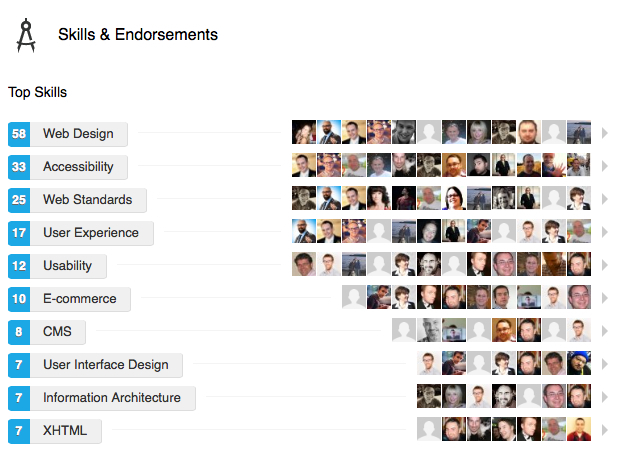 For example in my case people have endorsed me for everything from web design to digital strategy. Getting people to endorse you helps improve your creditability in the eyes of others. You can ask friendly colleagues and clients to endorse you, or you can just start endorsing your contacts. People are quick to reciprocate when you endorse them. Next you need to think about your company page. 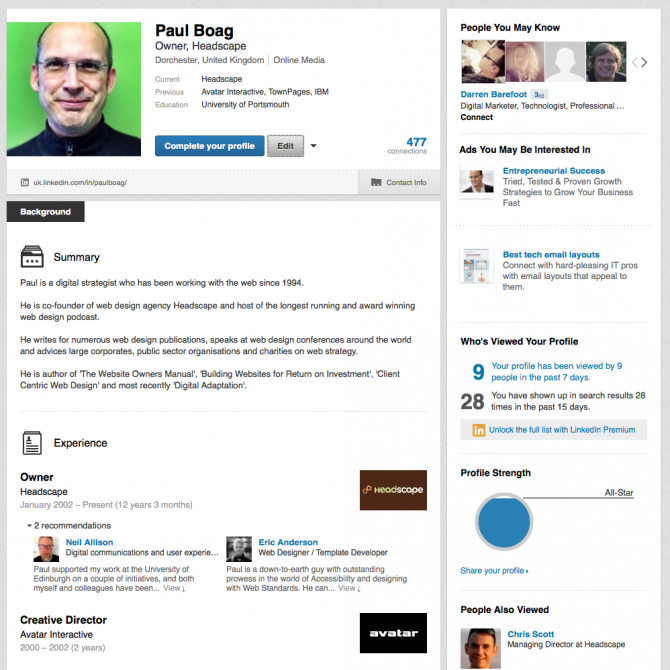 With your profile completed and regularly updated, you can now turn your attention to your LinkedIn company page. The first thing you will need to do is make sure you can edit your company page. If you created the company page in the first place that is not a problem. Otherwise, you will need to become the administrator. LinkedIn provide detailed instructions on how to do that. Once you have permission the first thing you will want to do is write an overview of the company. With that done you will need to start adding your products and services. 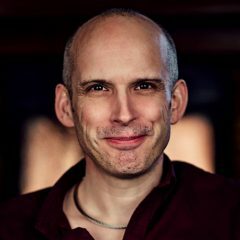 The reason it is so important to add your products and services is that people can recommend those in much the same way people can endorse an individual. These recommendations consist of customer testimonials that prove invaluable from a marketing perspective because they are linked to a real person with their own LinkedIn profile. 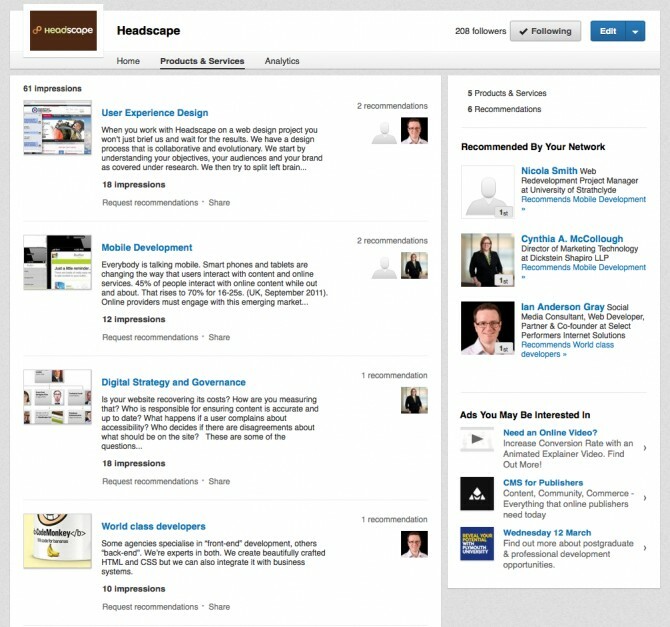 Adding products and services to our Headscape LinkedIn page allowed people to write recommendations. Finally, you need to start posting status updates on your company page too. I use a tool called Buffer to allow me to post to both my own LinkedIn profile and company page at the same time. It also will post to any LinkedIn groups that you create. That brings me nicely onto groups. A LinkedIn group can be on any subject you want. Think of a group as a discussion area on a particular topic. 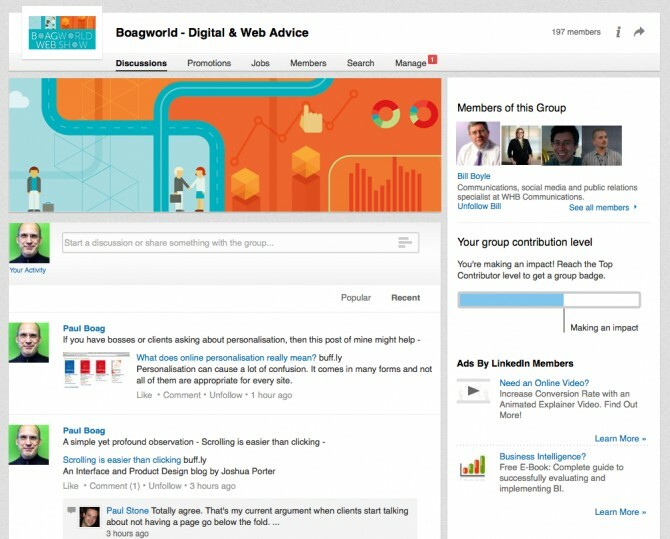 Unlike a company page, Groups allow anybody to start and contribute to a discussion. This makes it a great way of building new contacts and nurturing a relationship with people. A LinkedIn Group such as our Boagworld Group gives you the opportunity to make new contacts and nurture relationships. Depending on your business you might want to create a group where people can ask questions and discuss the particular area you operate in. If such a group already exists, you can start contributing to it. See also: The 8 worst things you can do to try and convince somebody. It is easy to miss the importance of LinkedIn. It is an incredibly useful tool if used correctly. It can help build new contacts, create sales prospects, establish you as an expert, and build your brand. It can also be used as a recruitment tool and allow you to keep your connections with people current. All in all, it should certainly be a component in most organisations digital strategy.